The information for this list of City parks came from many sources; we particularly thank the SLP Parks and Rec Dept. for access to their files. Information may well be conflicting, inaccurate, or incomplete. Any additions or corrections are appreciated; please contact us. For the most up-to-date information on facilities at specific parks, see the City’s web site. Also see Parks and Rec and Lakes and Ponds. Ainsworth Park: 7700 W. 28th St. at Quebec was named after S. Earl Ainsworth. In the 1920s Ainsworth served St. Louis Park as Village Assessor, and from 1944 to his death in 1966, he served as a Hennepin County Commissioner. In 1962 the City Council authorized $17,500 for 5.11 acres. It was the former site of a Landers-Morrison-Christianson gravel pit, and was originally 3.3 acres. In 1963 a shelter sat on the spot, and in 1976 there was a log cabin. The park was dedicated in July 1967. Playground equipment was replaced in 2005, and a picnic shelter erected in 2007. Basketball court, ballfield. 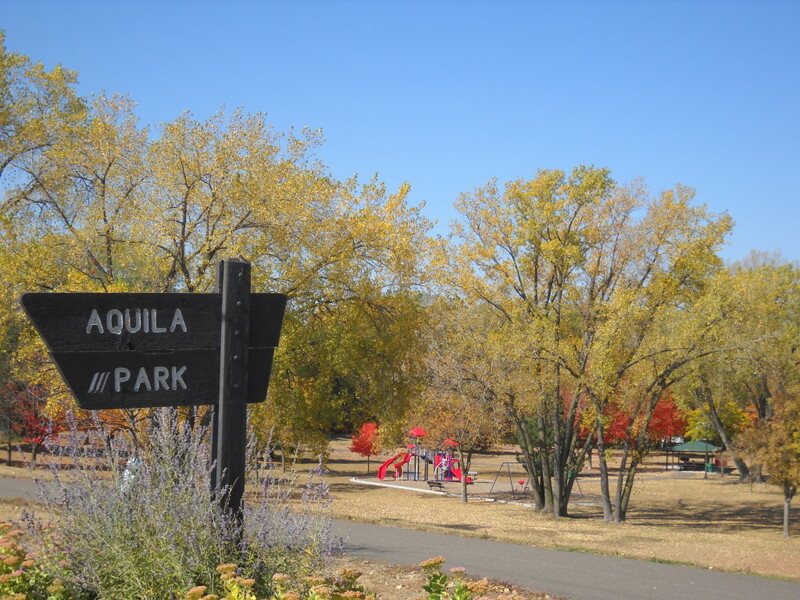 Aquila Park: 3110 Xylon. The first 2.55 acres were dedicated in the plat (not in use as of 1956). Land for a field was purchased by the City for $60,199 and developed for $109,510. In 1960 acquisition was complete and development work was slated to start that spring. By the end of the season it had two shelters and a pool. The original features have all been updated. Trails were developed in 1975. An irrigation system for the ballfields was installed in November 1976. The 30.44 acre park features a playground, trails, sun shelters, sliding hill, an irrigated flower garden, four tennis courts, lighted softball and football fields, basketball court, and horseshoe pit. Barretts Park: See Fern Hill. 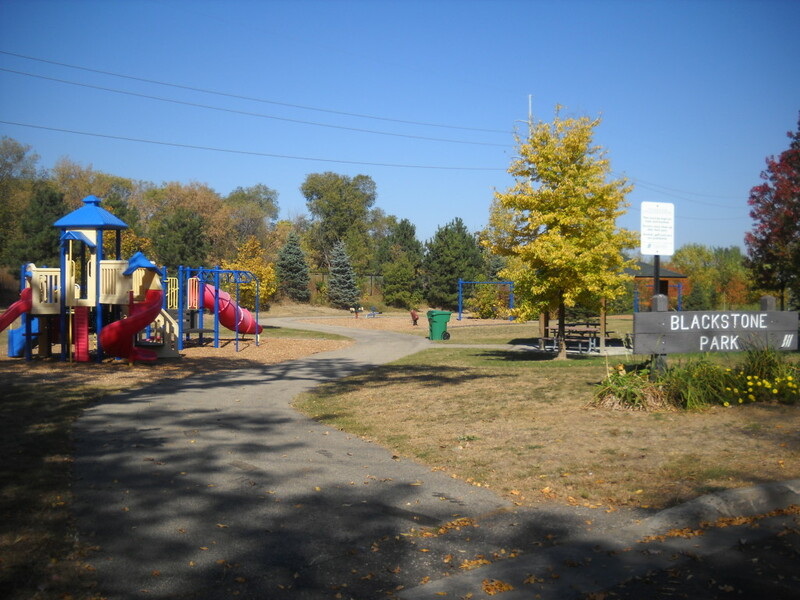 Bass Lake Park/Minikahda Oaks Park is located at 3450 Glenhurst Ave. (south of 34th Street between Glenhurst and Huntington). Although an article from 1949 lists Minikahda Oaks as a working park, it seems that in 1951 residents asked for a skating rink in their rather isolated neighborhood. The .98 acre park was donated on July 18, 1952. In 1960 the City bought four lots and a home at 4821 W. 36th Street. Playground equipment was in use in the summer of 1961. More land was leased from Al’s Bar in 1967. In the winter of 1972 there was a skating rink. The current size is 1.13 acres. The park includes a wooded area and a woodchip trail that links with the George Haun trail. Bass Lake Preserve: 3515 Beltline Blvd. It is primarily a nature preserve, and has several municipal tennis courts. Read the history of Bass Lake here. The park includes the George Haun Trail. Birchwood Park: 2701 Zarthan. In 1958, $9,424.38 was spent on improvements. In 1960 it had a shelter and a pool. The 1960 building still stands. The facility accommodates basketball, ice skating, soccer, volleyball, baseball, and horseshoes. 4.18 acres in 1981. Blackstone Park: 6094 W. 16th Street at Alabama. The area at 5916 W. 16th Street had been leased from Honeywell since 1972. Suggestions for improvements were made by the Alabama Block Club. That land was redeveloped by Space Center in 1978. 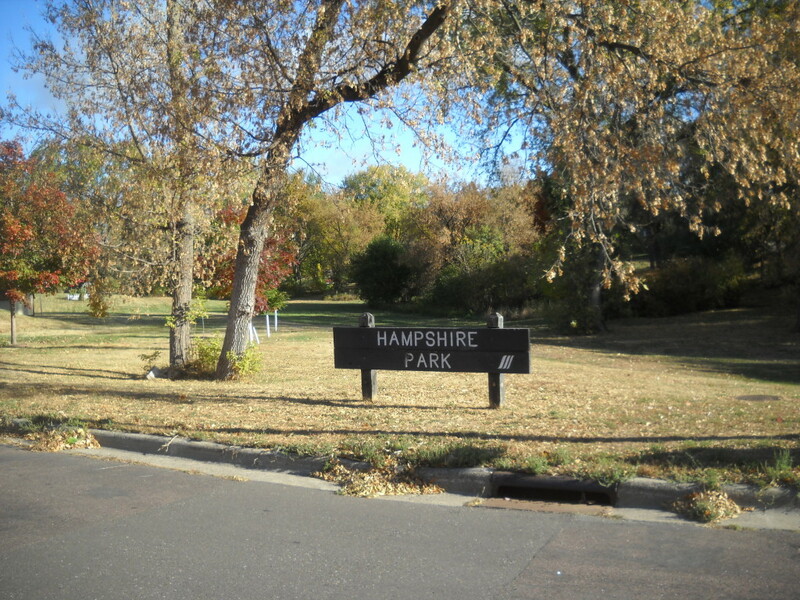 The park was relocated to its present site in 1991, which had been owned by NSP. The new park featured two playgrounds, a sun shelter and basketball court. Current size is 1.5 acres. A new playground was dedicated on October 14, 2015. Bronx Park: 2900 Idaho Avenue. .89 acres was purchased on October 25, 1945. [A 1951 article says it was loaned to residents by the water department; it is a current water treatment site.] It was developed by the Park Board, and neighbors banded together to make improvements in 1951. Bulldozers provided by Ashwerth and Sons began leveling the area in June 1951. A Grand Opening was held on August 12, 1951. Activities included a doll buggy parade, pony rides, bingo, funny costume parade, a Broadway show put on with puppets, a magic show, and other musical numbers. An additional lot was purchased in 1962, and the original playground equipment was installed in 1963. Lighting was added in 1967. The park was reconstructed in 1979. Its current size is 2.67 acres. There is a community garden in the park. Brookside 2nd: See Meadowbrook Lake. Browndale Park: 4525 Morningside Road at Browndale Ave. 9.51 acres were donated and purchased in 1943. The park was improved by Browndale neighborhood organizations, with help from the Women’s Club, starting in 1950. A Grand Opening was held in June 1953. Entertainment included clowns and the candidates for Miss St. Louis Park. Further construction took place in 1959. In 1960 the park had 9.51 acres, donated and purchased, with a shelter and a pool. Before 1962 the whole area below the hill was cattails. It was low land used for storm water runoff from nearby streets. The City turned it into a real park then by cutting down the north side of the big hill, using the fill to cover the cattails. A new shelter was built in 1962. Also in 1962, five lots were purchased from Leonard Kaplan for $1500. In 1963 the City acquired Wooddale Park, Lot 1, Block 1 from Charles O. Newcomb for $450. In 2000 Orly and Lucille Thornsjo donated six white pine trees to the park. Current acreage is 10.74 . Facilities accommodate a playground, ultra deluxe shelter, softball, basketball, ice skating, sliding hill, pond, woods, perennial garden, aquatic upland prairie, a woodchip trail, and a 3.8 acre lake. The name Browndale comes from the Brown family that farmed the area. There is a neighborhood flower garden tended by Browndale and Minnekahda Vista resident volunteers. 1994 Photo by Emory Anderson. C&C Field was leased for 10 years by Little League from Cusak and Carlson, Realtors in 1955. Candlestick Pond is located at 16th Street and Park Place. 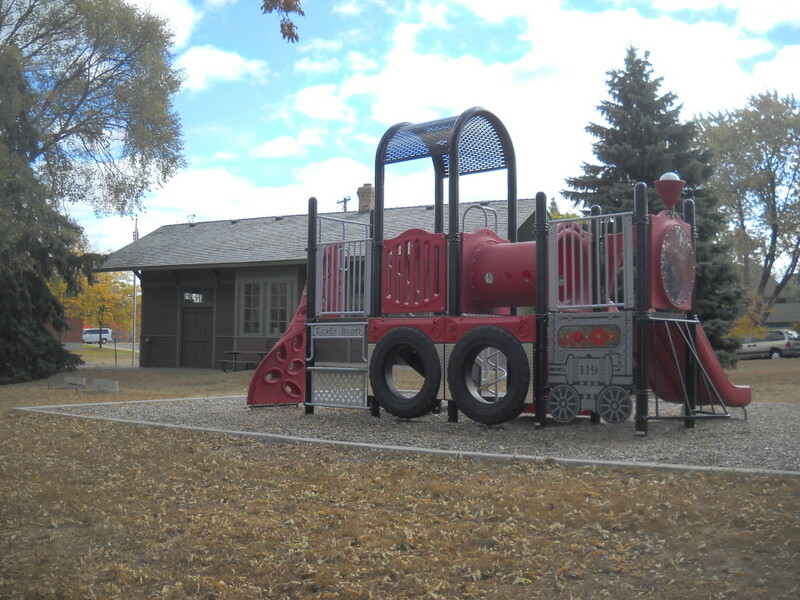 Carpenter Park: 3001 Raleigh Ave. at Minnetonka Blvd. This was one of the earliest parks, located on the site of the current City Hall. The site was the property of M. Parry in 1893; he owned the entire tract that includes City Hall, the Park Theater Building, the Garden Village Apartments on Raleigh, the condos at 5101 Minnetonka, and Menorah Plaza. When the owners of the Park Theater purchased 27 acres from farmer Simon Kruse, 13.53 acres were (99-year) leased for the park. [Another account is that land was donated by the Carpenter family. Bertram W. Carpenter was a fruit farmer who goes back to at least 1910 in St. Louis Park.] Steps were installed just west of the theater doors and to the south of the east parking lot. The steps led down to the WWI memorial built by the WPA (later moved further into the park and now located at Veterans Memorial Amphitheater in Wolfe Park). One of the park’s first activities was an outdoor dance, the first in 1949. Where City Hall now stands was a large flower garden, maintained until the mid 1950s. Seven tennis courts were built in August 1964. Of Lay-Kold construction, they were built for $31,000 by the Carlson-Levine Construction Co. Four of them were removed to make room for Police Headquarters. Current acreage is 12.99. Skippy Field was created at this site in 1952, named for its sponsor, Skippy Peanut Butter. Elmer “Shorty” Dale was instrumental in building Skippy Field for Park’s Little League. Facilities include a concessions/storage building, two ballfields, soccer field, and batting cages. The minor league Little League field was named for Shorty and rededicated in 2002. Cedar Knoll Park/Carlson Field 2541 Nevada Ave. at Louisiana Avenue. Carlson funded the original construction costs. 3.5 acres were acquired as tax forfeited land in 1978 and that year the park got lights, irrigation, a new fence, park sign, and scoreboard. It is home to Babe Ruth baseball. A shelter and concessions stand were put in in 1992. Current acreage is 10.55. Facilities include a concessions building, sun shelter, lighted baseball field with scoreboard, dugouts and batting cages, and a soccer field. 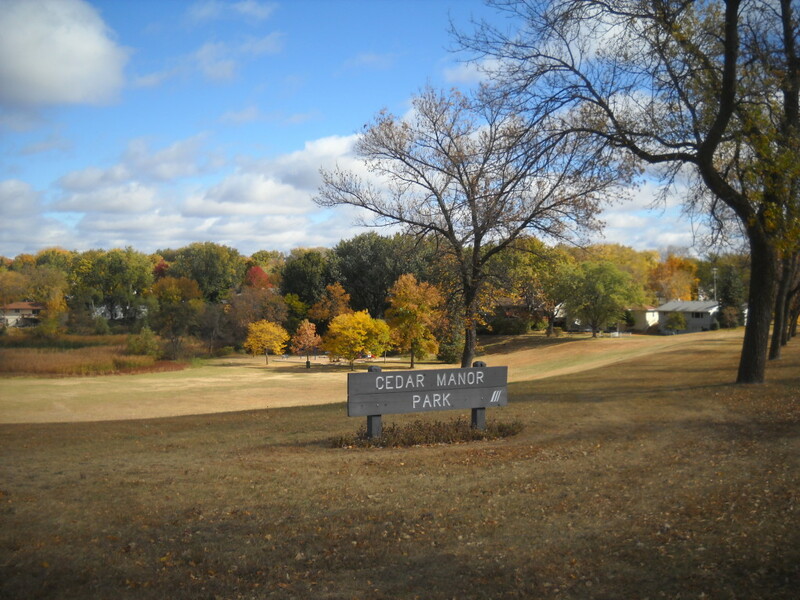 Cedar Manor Park/Lake: 9350 Cedar Lake Road at Highway 169. 10.4 acres were donated in 1960. More land was purchased in 1966. 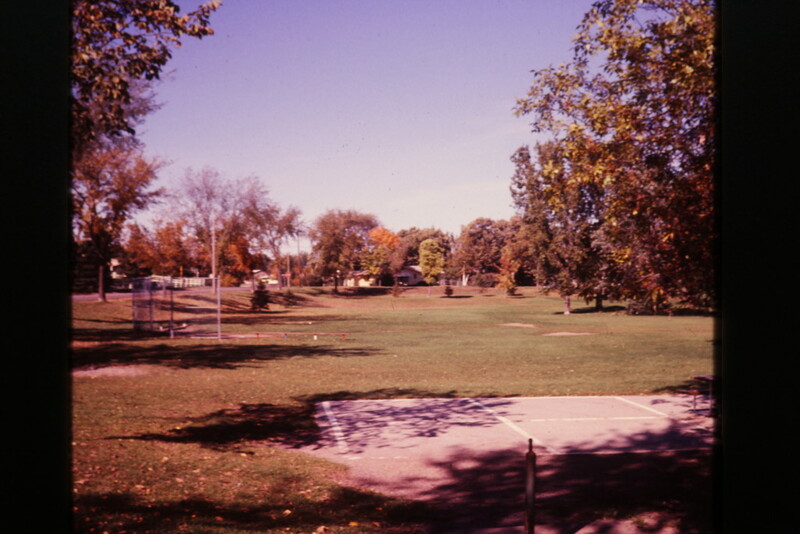 The park was enjoyed in its undeveloped state by the neighborhood, and protests were registered when the City proposed to “improve” it in 1966. A shelter was built in October 1972, demolished in 1990. In 1993, property at 9258 Club Road was purchased from Harold Aretz. Of its current 25.91 acres, 14.91 acres belong to the City (including a 3.5 acre lake) and 10 acres belong to the School District. Cedar Manor School used it for recess and school interpreting programs. It now features a playground, observation deck, amphitheater, and soccer/lacrosse field. Cedarhurst Park: 1601 Natchez. This 1.01 acre park is privately owned by Peace Presbyterian Church and leased to the City. In 1972 the playground equipment included a clown/scarecrow swing, a fort (slide), a spider climber, a see-saw, and Radio Rockies. The park got its name in 1972. The current playground was built in 2007. It is heavily used by residents of adjacent apartments. Center Park: 3750 Wooddale (Oxford and Zarthan). 1.82 acres had been acquired from the State on November 15, 1943, but not developed until 1951. It was graded in 1952, and equipped by the Park Board and the Community Fund. Slides and swings were put in in 1963. The current playground was built in 2005, and the park offers ice skating. Central Community Center: Highway 7 and Dakota Ave. Outdoor ice rink. 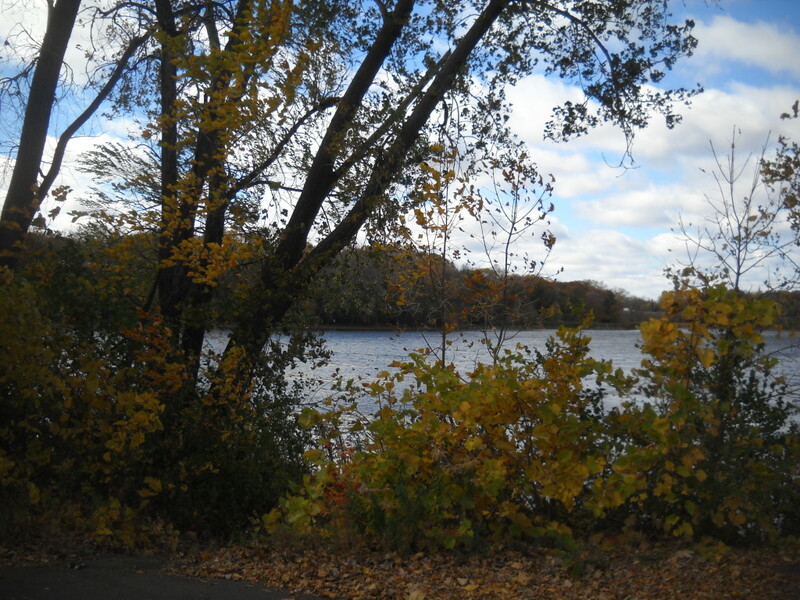 Cobble Crest Lake is bounded by Minnetonka Blvd., Cavell Ave. and the tracks. It consists of 13 acres of open space. The City may have owned part of the shore line, but lists it as private today. The Old Community Center on Lake Street (no longer in existence) is discussed in a piece by Recreation Director Dorothea Nelson, and in a piece about the history of the Community Center and the Rec Center. 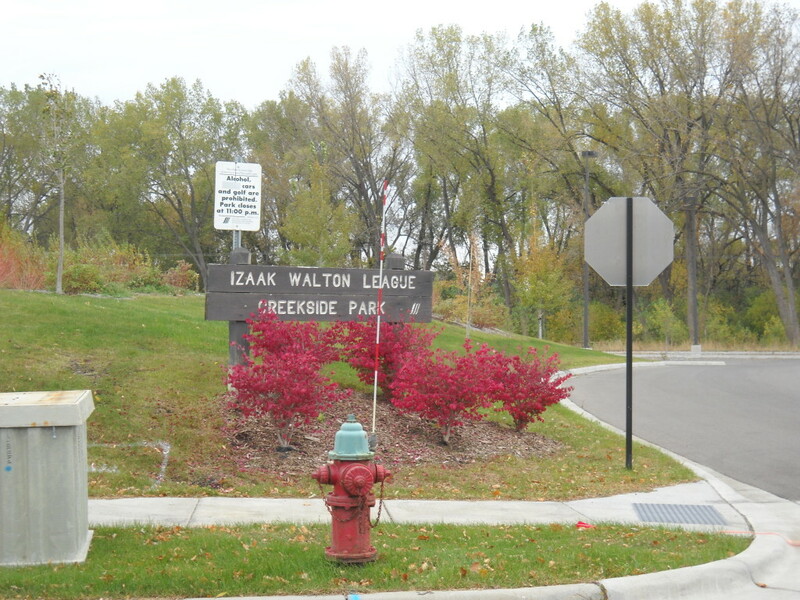 Creekside: See Isaac Walton League Park. 7341 Oxford at Meadowbrook Blvd., was renamed in 1988 to include the civic organization that preserves and maintains Minnehaha Creek. Dakota Park: 2643 Dakota. Development began in 1968. In 1969, $50,000 was paid to the Mpls., Northfield, and Southern Railway for an addition. Comprehensive improvements were made in 1972/73, including wooden playground equipment. A sun shelter was built in 1973, an announcing/storage building, electric scoreboard, and irrigation system in 1978, a bridge in 1988, sun shelter in 2005, softball field updated in 1994, lighted baseball field with two dugouts and batting cage updated in 1994, lighted softball field, off-leash dog park 2005, bluebird houses, woods, flower garden, sliding hill, and a stormwater pond in 2008. Currently it is 20.18 acres. Derrick Keller Field at Dakota Park: Derrick Keller was a student and baseball player at SLP High. He died in June 2012 due to complications from leukemia at age 18. (He actually beat leukemia, but his immune system was left very weak from all the chemo. He then contracted something called cytomegalovirus, or CMV.) He was set to attend Southwest Minnesota State on a baseball scholarship (he graduated from Park in 2012). When requested to rename the field at Dakota Park (where the varsity baseball team plays) in his honor, the City Council approved that measure unanimously. The whole park is still called Dakota, but the baseball field there is called “Derrick Keller Field.” The SLP Dugout Club raised money for a new scoreboard that says “Derrick Keller Field; Home of the Orioles.” See Seth Rowe’s story in the Sun-Sailor. Shorty Dale Field: See Carpenter Park, above. Edgebrook (Drive) Park/Terry Park: 3920 Pennsylvania. This park serves the South Oak Hill community and the name was changed from Terry Park in 1964. On March 11, 1952, the Village bought a 2.6 acre, 3 block by 80 ft. strip of land between South Street (Edgebrook) and the Milwaukee Road tracks, between Taft and Pennsylvania from Terry Brothers, Inc., who had intended to build warehouses on the site. Adolph Fine donated three 100 ft. lots between Pennsylvania and Rhode Island, facing South Street, which made the property 200 ft. deep. Its borders are an alley on the north and railroad tracks on the south; the park is tucked away behind the houses along Edgebrook Road. Wooden playground equipment was installed in 1975. Improvements were made in 1977, 1980, 1986, and 2000. The playground dates to 1994, basketball first installed in 1981, repaved in 2004. Ice skating. The site includes a pond and woods. The city reports a South Oak pond at 4.5 acres. Elie Park/Tower Park/Xylon: 3429 Xylon. This park had been known as 34 1/2 Street and Wyoming, then Tower Park for its water tower and lift station, and also Xylon Park. 1.77 acres were donated. 2.6 acres were purchased in March 1952. 2.28 acres were donated in 1953. Its 1969 ballfield was updated in 2002. The site includes wood and a wetland. Activities include baseball and T-ball. In 1952, Alfred and Nora Elie (pronounced E-lie) donated some of their 10 acres of land. The Elies lived in the big brick house at 8206 W. 35th Street. On September 19, 1994, it was named for the Elies. 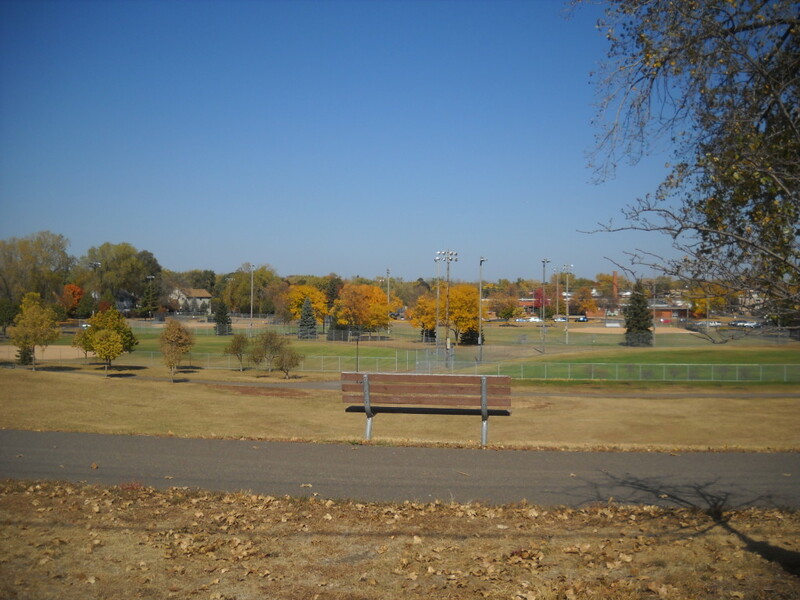 In 2008 the ball field was named Dale Petit Field at the behest of the St. Louis Park Traveling Baseball Association for Petit’s work with youth sports. In 2012 about 4,000 cubic yards of dirt removed from the high school’s playing field to replace it with artificial turf was moved to Elie Park to improve drainage. Other planned improvements include gates in a fence around the baseball field to improve access, a new scoreboard, netting to catch foul balls, landscaping, and a drinking fountain. Eliot Park: 6800 Cedar Lake Road. This property was owned by the school district. A “Park Warming” was held in 1977. A ballfield was put in in 1996, a playground in 1997, and a shelter in 1998. Eliot School was demolished and replaced by an apartment complex. The park is no longer on the city’s list of parks. Ethel Baston Park: 3200 Highway 100. 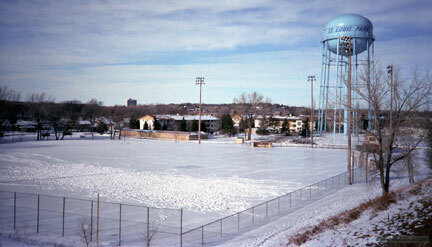 In 1970 this was a five acre park: the south 1.5 acres belonged to Mn/DOT and the remainder belonged to the school. The school and the land were sold to Groves Academy in 1982. Fern Hill Park: 4421 W. 28th Street at Joppa. 5.53 acres are owned by the City, and 6.35 acres are owned by Torah Academy (the former Fern Hill School); the City sold the land in 1982. 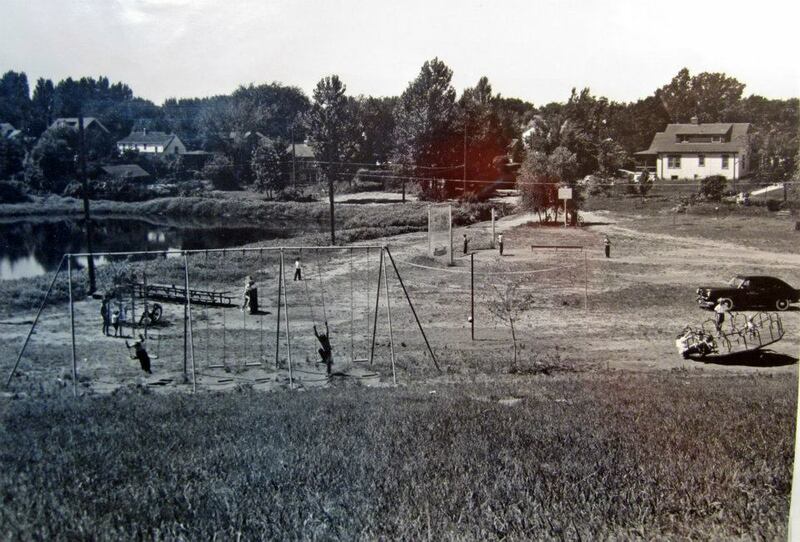 Before there was a park, summer activities for kids took place at the school in the 1930s. A stucco house built in 1924 on almost 2 acres of property had belonged to Sterling Stageberg. 1.21 acres were donated on September 17, 1948. In the early 1950s the Village purchased additional land and used it for the Civil Defense Department. On February 24, 1955, the City burned the house/the stables down in a Fire Department training exercise. In our files is a “Planning Analysis – Neighborhood Playground Development Adjacent to Fern Hill School” by Carl L. Gardner & Associates, dated November 19, 1956. 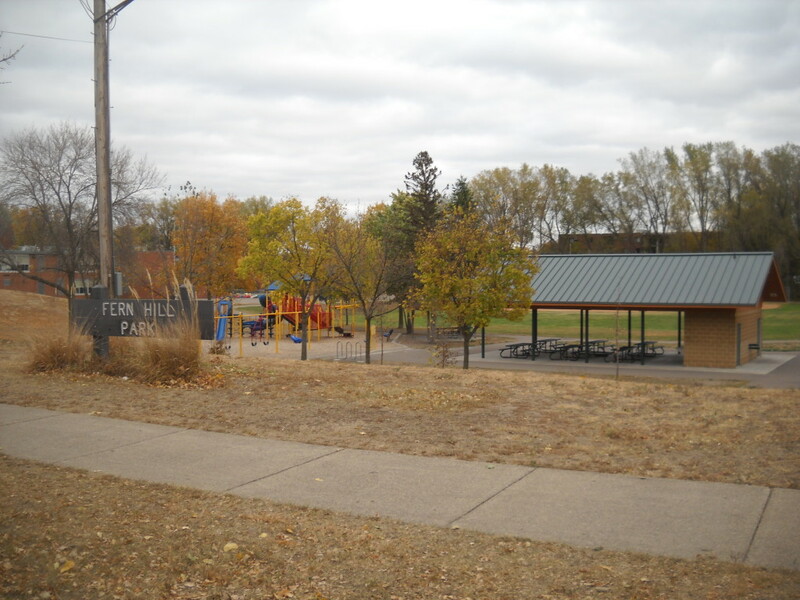 The report, done at the request of the City Council, concluded that Fern Hill was a large neighborhood (110 children) without adequate playground facilities, and that the City-owned land lended itself to playground development. In 1957, $8,507.12 was spent at this site – a skating rink and warming house were extant that year. Acquisition of 2 additional acres was done in 1960 and a shelter was built that spring. In 1960 it had a pool. In 1962, additional land was purchased for $10,000 from William B. and Joyce Lee. In 1963, playground equipment included a jungle gym, slide, sandbox, and swinging horses. In 1965 a “Space platform slide” was installed. In 1975 new wooden playground equipment was installed. Facilities now include two baseball fields, a basketball court updated in 1980, ice skating, sliding hill, woods, and a perennial garden. The property is used for recess and physical education classes at Torah Academy. Flag and 22nd Ave. is 16.7 acres of open space and wetland. Not listed as a city park. 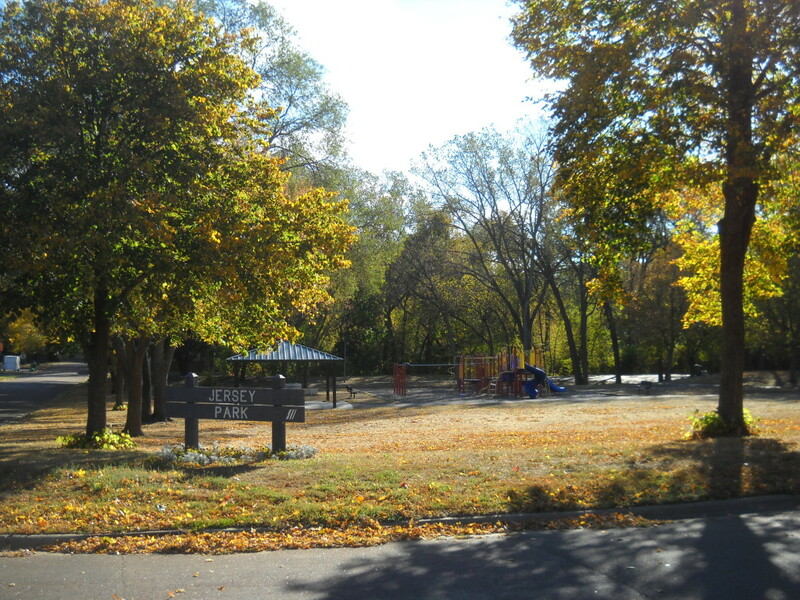 Ford Road Park: 2115 Ford Road, west of Highway 169. This property is adjacent to the Kilmer addition, which was annexed from Minnetonka in 1954. It is part of the Temples Garden Lots parcel that was the subject of an attempted annexation in 1956. The annexation was reversed when it was found that there were irregularities in the process. 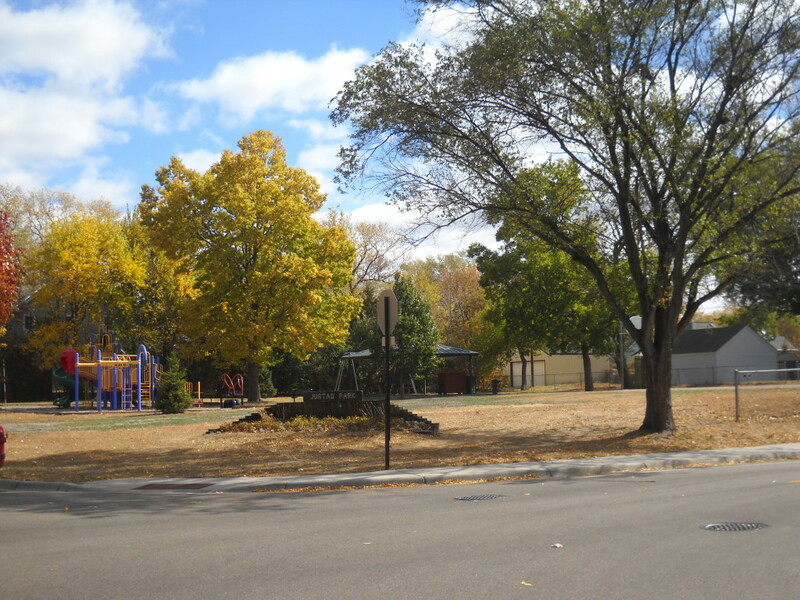 Residents of Kilmer were unsuccessful in getting a park of their own until a deal was made with Minnetonka to build a park on the border in 1964. Minnetonka and St. Louis Park each paid $12,500 for the land. At the time, St. Louis Park had more residents in the area, but over time, the surrounding area in Minnetonka was built up. Nine acres belonging to the Catholic Church were identified. The deal went through in 1967. Work began in 1968, with the park opening in 1969. Original playground equipment included a Jack ‘n’ Jill Playhouse (slide), Rodeo Rockies (riding horses), a swing set with aluminum ponies, and a clown swing. 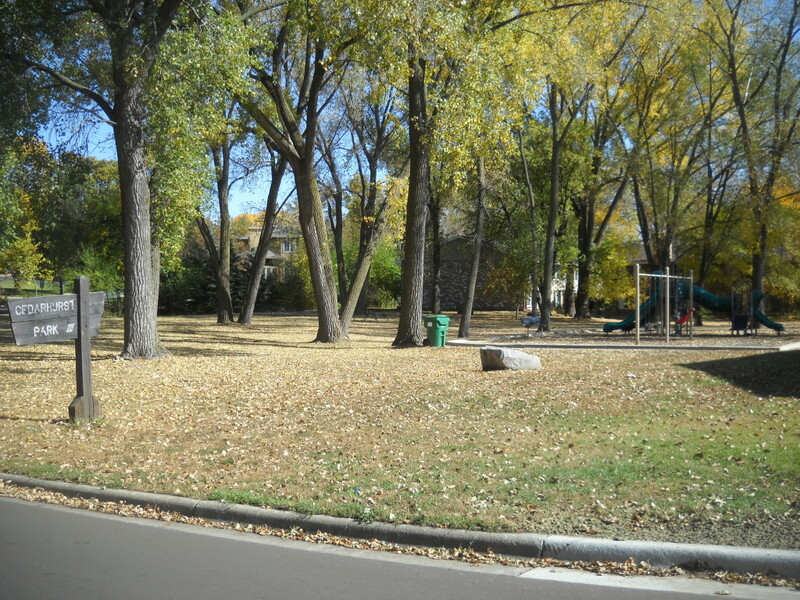 Although the property is located in Minnetonka, the park is maintained by St. Louis Park. The area is 10.64 acres; 4.5 acres are park and the remaining is wooded. Trails and a bridge were put in in 1976. Facilities were updated in 2003. Ballfield. Paul Frank Field: See Freedom Park. Frederick Avenue: 9201, 9212, 9221 Frederick Ave. (Minnetonka at Flag) 1.7 acres of open space, wetland, creek overflow. These 14 lots were donated by Richard Neslund (Cheyenne Land Co.) in 1995. Not listed as a city park. Freedom Park/Paul Frank Field/Gorham Ave. Athletic Field 3261 Gorham, adjacent to the library, is essentially a field for the Pony/Colt league, which was started by Parkite Paul Frank. Ballfield, concession building, soccer field. Hampshire/Georgia/Westwood Park: 6520 – 18th Street between Edgewood and Hampshire Ave. This is 3.34 [7.1] acres of open space and woods. It was apparently acquired by 1952/dedicated in the plat. 1.4 acre pond. Hannon Lake: 9019 Cedar Lake Road. This is a protected wetland, located between 28th Street and Cedar Lake Road, east of Highway 169. It was originally part of the Westwood Park Second Addition plat, dedicated by the developer. In 1965 the City bought property from Westwood Lutheran Church for drainage, at a cost of $12,652. More land was purchased in 1970, and improvements were made in 1971. In 1973 the City purchased the Lundeen property for $920. Its current  acres consist of a 17.1 acre private lake and woods. It was named after an adjacent property owner. Hurd Park/Carroll Hurd Rotary Park was named for Carroll Hurd, Rotarian and former Mayor of St. Louis Park. It is located north of Cedar Lake Road between Nevada and Pennsylvania Avenues. 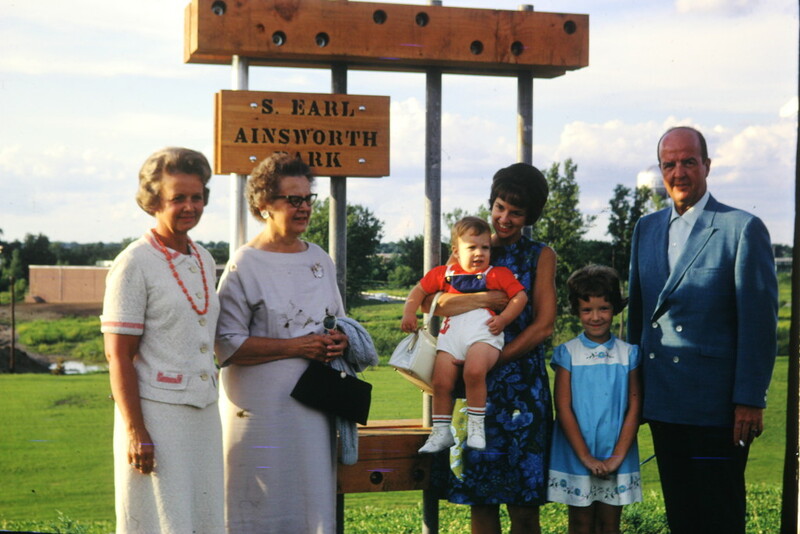 The park dedication took place on September 27, 1976, and improvements were made that year. In 1980 the name was changed to Caroll Hurd Rotary Club Park, reflecting work the SLP Rotary Club had done to make improvements. A Rotarian donated additional land in 1980. In the Summer of 1983 the Youth Conservation Corps built steps leading into the park. In 1990 the Rotary Club requested that their name be removed and added to Northside Park. There are no structures on the 3.11 acres, and is described as a peat bog with a wetland in the middle. Isaac Walton League Park/Creekside: 7341 Oxford at Meadowbrook Road. 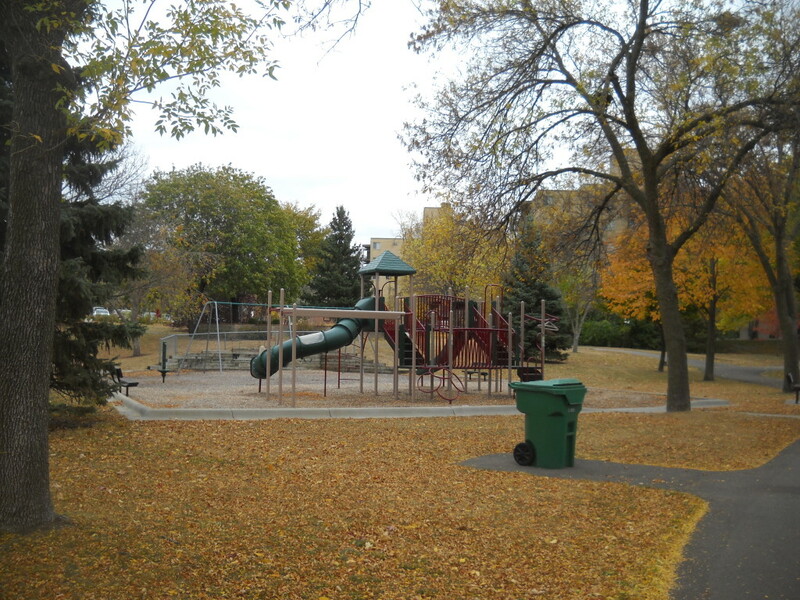 In 1988 this park was renamed to include the civic organization that preserves and maintains Minnehaha Creek. It was created/improved in 1978. The open space is owned by the Minnesota Department of Natural Resources. The 1.78 acres of open space feature a canoe landing, wooded area, and parking lot. 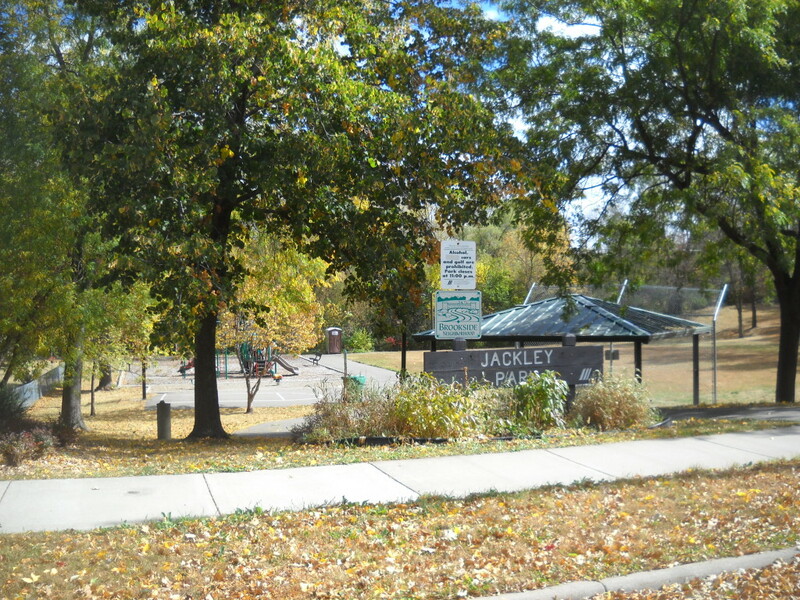 Jackley Park/Brookside Park: 4215 Brookside Ave. First called Brookside Park, located at 42nd Street and Brookside Avenue. .56 acre were obtained from the State on October 20, 1943. There was no playground in 1952; the park was to be graded and opened in October 1953. The City asked M.X. and Margaret Jackley, who owned adjoining land, if they minded if some equipment was placed on their land, and they agreed. (In 1951 the Jackleys complained about damage to their driveway and garage by traffic in and out of the park.) New playground equipment was installed in 1963. 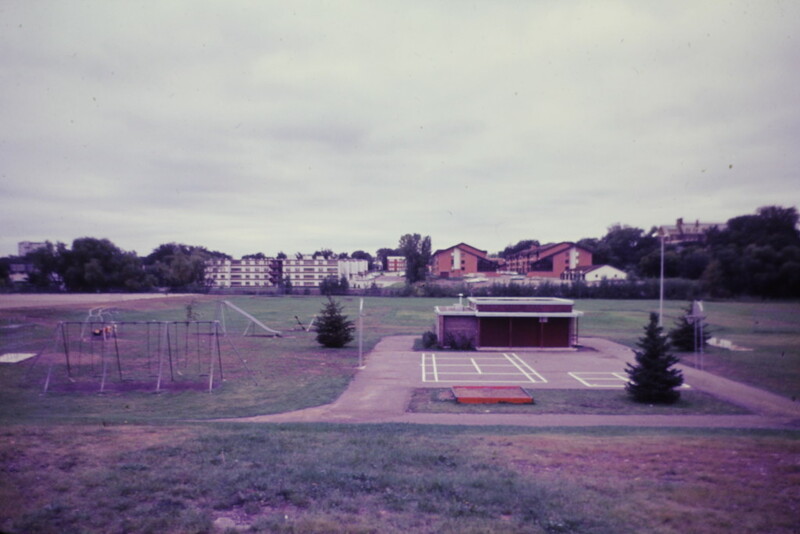 In 1968 the warming house and some playground equipment were on Jackley property. Mrs. Jackley sold some of her land to the city for $150 on September 11, 1957. When Mrs. Jackley died in June 1968, the family house proved difficult to sell, so the family donated [sold for $9,700] the 50 by 168 ft. lot to the City for the park, which was then renamed Jackley Park in 1969. It turned out that .25 acres of the property was owned by CP Rail, and in 1976 a lease was drawn up allowing the park to continue to operate on that land. The Jackley house was demolished and the warming house moved in 1977. The park was reconstructed in 1979. The park featured ball diamonds in summer and two ice rinks for figure skating and hockey. Parks employee Elmer C. “Shorty” Dale presided over the warming house back in the 1960s. 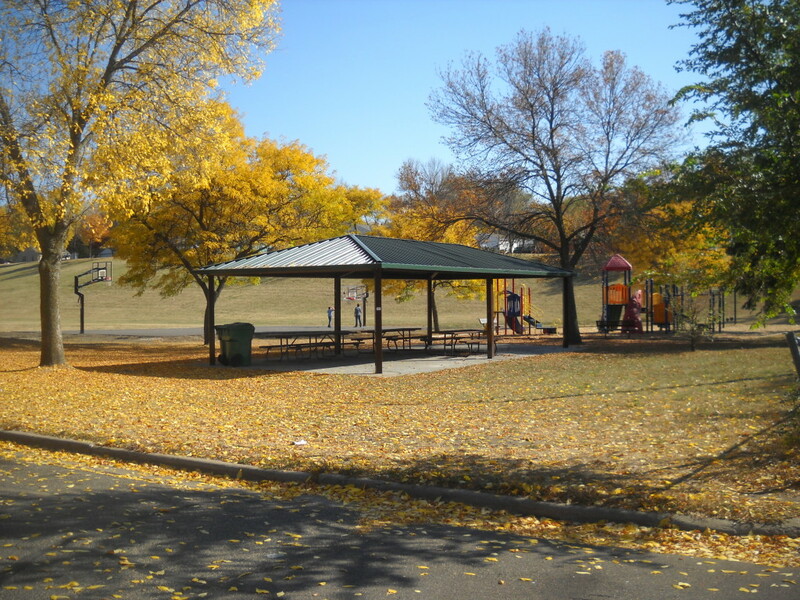 The park currently features a sun shelter, playground, ballfield, and basketball court. Jersey Park: 1601 Jersey. The Jersey-Idaho Block Club worked on the park. It got its name on February 21, 1978. This park now has 1.95 acres. It includes a woods and wetlands. Facilities include a playground, basketball court, skating, and horseshoes. Johnson Lake: See Wolfe Park. Jorvig Park: 6100 W. 37th at Brunswick. 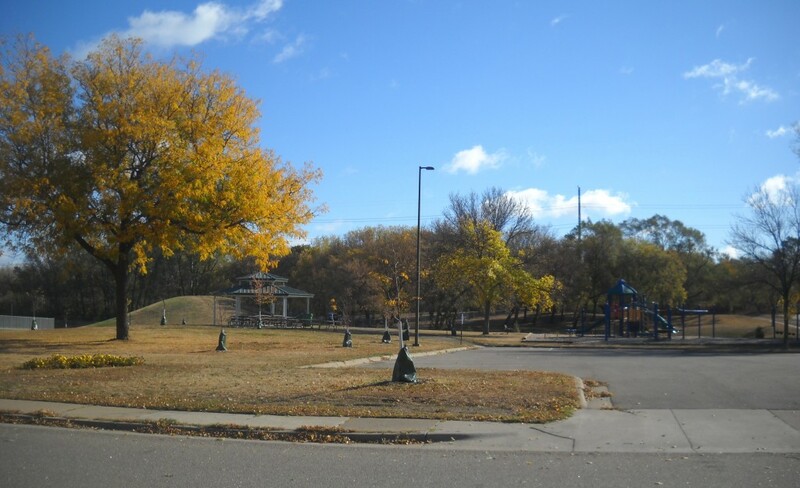 This was probably the park that the Minneapolis and St. Louis Railroad gave to the Village in exchange for naming the Village St. Louis Park, if that story is true. It has also been known as Bandstand Park, Firemen’s Park, and Central Park. see Bandstand. It is .6 acres, and on it sits the Milwaukee Road Depot, built in 1887. It was named for Torval Jorvig, civic leader. There are several unique features to this park, including a play train (1998), a rest shelter for the LRT trail (2000), Memorial trees dedicated to Marie Hartmann and Ben Brown (1996), and a flagpole donated by Dudley Moylan (2002). Other features are a horseshoe pit, flower garden, and trail access, the latter built in 2005. 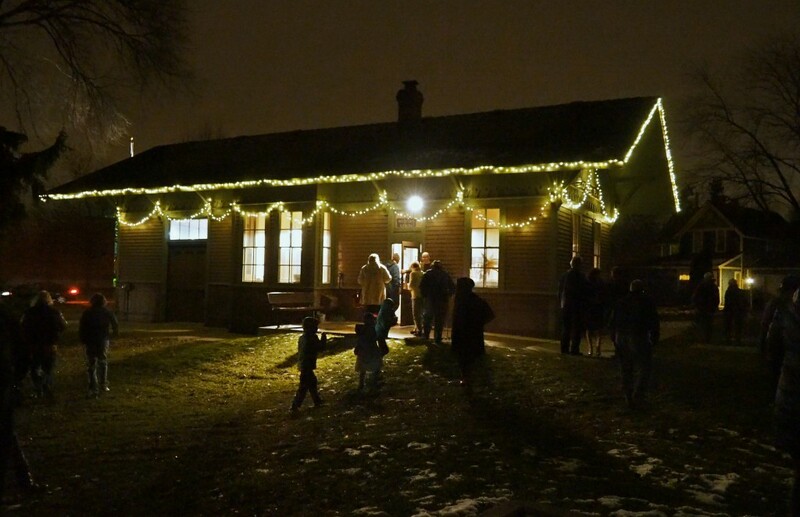 Depot Lighting Ceremony. December 5, 2015. Photo by Emory Anderson. Middle School: 2025 Texas Ave. Lighted tennis courts, soccer, ballfields. Justad Park: 5917 Cambridge Ave. at Alabama. .47 acres were obtained by the State in October 1943. In 1962, 5913-17 was purchased from St. George’s parish (Corlys W. Herbert) for $9,000. 2.2 acres were bought in June 1962. It is now .71 acres. A house was removed from the property in 1963. It has originally been called Cambridge Park, and was renamed after Joe Justad in March 1963. A dedication ceremony took place on October 10, 1973. Playground equipment was installed in 1963, 1979, and replaced in 2001. The park also includes a sun shelter (first built by the Lions Club in 1977), basketball court, horseshoe pit, and a flower garden. Keystone Park: 3034 Alabama at 31st. This land was leased for a time from CP rail. It was operating in 1948, but not in use in 1952 as it was being graded. This area had water problems, and in 2002 it was lowered 4-6 feet for water management. A soccer field was added in 2002. A 1960 list shows a Del Monte Heights Park, .83 received from the State in 1943 and 1952. It is described as being between Blackstone and Alabama. The same? Del Monte Heights was the name of the subdivision. Kilmer Pond: 1684 Kilmer Ave. So. at Highway 169. 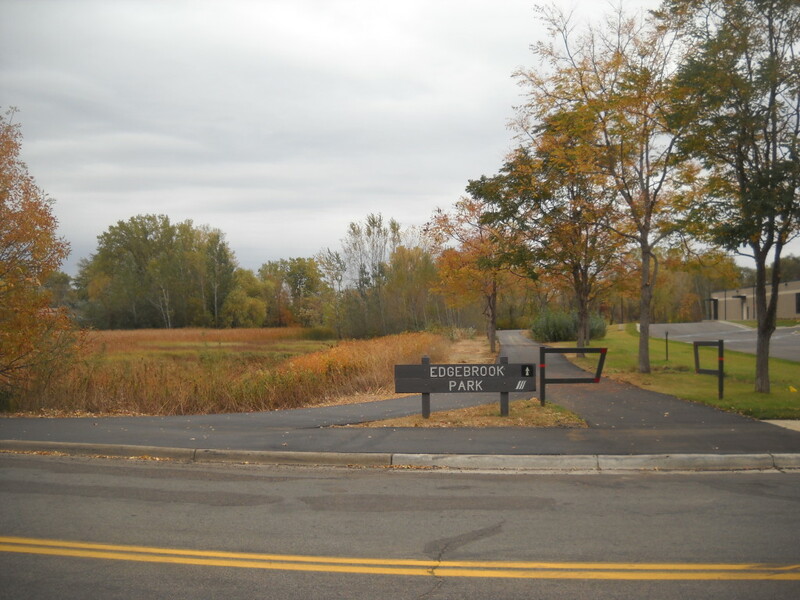 At first (1958-1966) this park had been located at a temporary site (4 lots leased from developers Ecklund-Swedlund), but in the late 1950s, 4.5 acres of new land was donated and the park moved to the pond. It was a flooding eyesore until the Cedar Manor community and the Lakeview Garden Club got together and planted trees and flowers to beautify the park in 1965. More work was done the following year. St. Louis Park originally suggested joint ownership with Minnetonka, but Minnetonka declined. The current 4.12 acres of open space includes a 3.2 acre pond, perennial garden, and grills. Knollwood Green: 3450 Flag Ave. Minnehaha Creek, just east of Highway 169. It has 1.22 acres and features a playground and a basketball court. This site was affected by the construction of Highway 169. Lake Street Park: 6212 Lake Street. This is a storm water holding pond with a building. In 2002 it was lowered 16 ft. for water management. Lamplighter Park and Pond: 1800 Pennsylvania Ave. So. It is said to be haunted by the caretaker of the adjacent Silver Fox Farm, whose lamp light can be seen decades after the Fox Farm closed. Indeed it is named for a “historical occurrence.” It is 21.24 acres of open space, 12.24 acres of which are owned by the City (purchased from the State around 1950). In 1977 there was a serious deer problem. Land at the north end of the park was exchanged with the Park Assembly of God in 1979. Trails were put in in 1983. 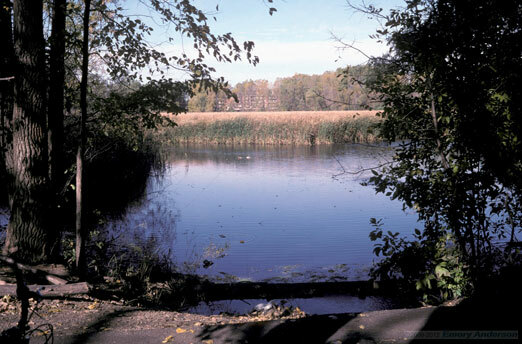 In 2006 the pond was expanded and stocked by the DNR, and the shoreline was restored. It features a volleyball court. The pond is 19.2 acres. 2014 Photo by Emory Anderson. Lions Field: Highway 7 on the site of National Lead/Golden Auto Parts, just west of the NSP substation. The scoreboard in the photo below (courtesy Alan Suckerman) indicates that it was dedicated in 1961. Louisiana Oaks Park/Oak Park Village: 3500 Louisiana at Walker Street, on the site of the Creosote Plant. The park was planned in 1976. The Grand Opening was held on September 13, 2003. It is 33 acres, with 24 inches of clean fill added to cover the possibly contaminated land. The park includes a shelter, playground, solar powered storage building, soccer fields, cross-country ski trail, baseball field, a 6.3 acre pond, and woods. Until 2002 it was referred to as Oak Park Village. Also in 2002, the park was dedicated to Children First. The Lions Club contributed to the development of the park and equipment. Meadowbrook Lake: 4240 Colorado Ave. So./ 44th Street and Brookside Ave. This is 21.22 acres of wetland and open space where the creek expands. Fishing. In 1959 there were reports of dumping at the proposed park, a chronic problem that lasted until at least 1968. In 1959 WTCN radio requested a lease to erect a radio tower at the park, but the City Council said no. The lake is 29 acres. Meadowbrook Manor Park: 4072 Meadowbrook Lane at Meadowbrook Blvd. 2.5 acres came from the State in 1944, although current acreage is .5 acres. The City tried to buy the land in 1958. It wasn’t until 1996 that it was leased from Helena Bigos, d/b/a Meadowbrook Manor Apartments for $1. Grand Opening was in November 1996. It has a playground, sun shelter, and basketball court. An old playground had to be removed. The Rotary Club and the HealthSystems Minnesota Foundation contributed to the cost. It is now open space. Medora Woods: 2144 France (22nd St. and Ewing Ave.) and is .5 acres of undeveloped open space/woods. Medora Woods was actually the name of the person who donated the land in 1996. Not listed as a city park. Menzel Park: 2601 Glenhurst. This park was named for neighbor Arthur Menzel. In 1944 Menzel, a furrier, was on the Minneapolis Park Board, which granted permission for St. Louis Park to use the triangle at France Ave. and Cedar Lake Ave. The Minneapolis Public Works Dept. owned 1.59 acres of the Park. In 1959 Minneapolis decided to dispose of tracts that were not within the boundaries of the city. It was purchased by St. Louis Park from the Minneapolis Park Board in 1967. 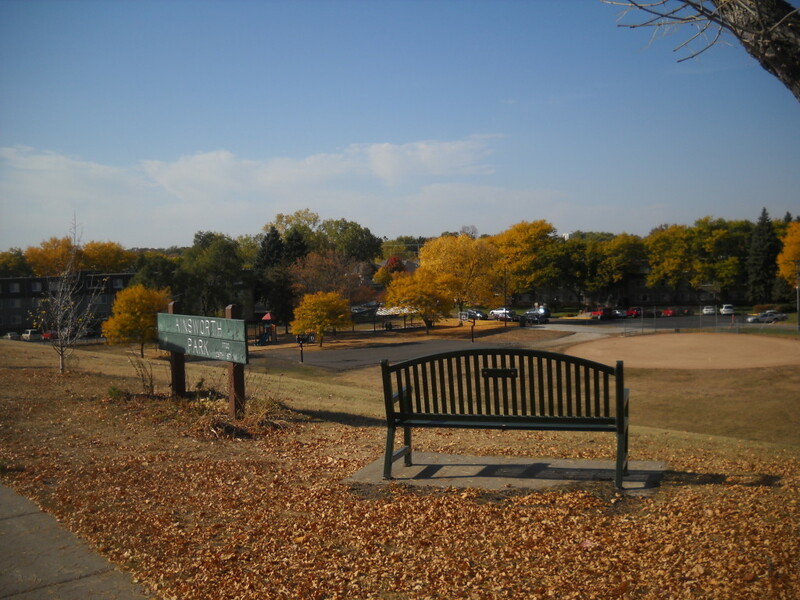 It is now 5.57 acres of open space, owned by Minneapolis and maintained by St. Louis Park since about 1986. Minikahda Oaks Park: See Bass Lake Park. Minikahda Vista Park: 3901 Inglewood. 4.33 acres were purchased in April 1945. In 1948 neighbors organized to build their own shelter, with help from the Women’s Club. The Village chipped in with grading and filling in swampland (and getting rid of a huge sand heap). In 1961 an agreement was made with the Minneapolis Water Department, which owned some of the property. Grading was done in 1963. Playground equipment was installed in 1964. It now has a sun shelter, playground, basketball court, soccer field, and a sliding hill. 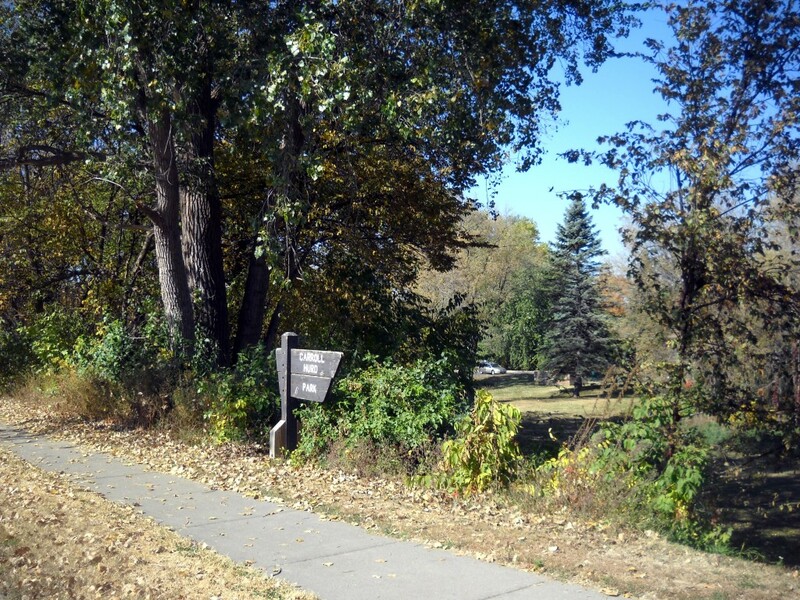 Minnehaha Creek Parkway: Land for this area was acquired in 1970. It was taken by eminent domain/condemnation in 1975. It had been polluted by industries before 1969. Some of the land came from Methodist Hospital. It was cleaned up in 1978. Obtained from the DNR in 2008. Minnehaha Basin: 2601 Glenhurst Ave. So. Open space. Minnehaha Wetlands: Originally called Towles Park (after the subdivision), the 8.81 acres located at Ensign and 31st was deeded to the Village by Federated Realty, Inc. in July 1944. In 1952 it had not been developed. An area just referred to as Minnehaha Creek is described by the City as 165 acres. Nelson Park/Community Center: 2500 Georgia Avenues. It was originally called Edgewood Park. The house and lot of Arthur and Elizabeth Carter were purchased for the park for $14,000 in 1962. On November 8, 1962, the park was named for Dorothea Nelson, the City’s first Recreation Director, who served from 1946 to 1962. Possibly the first playground equipment was installed in 1963. Land was acquired in 1962, 1966, and 1968. In 1976 the City purchased 2557 Georgia for the park. A hockey rink was added in 1977. Currently, 9.39 acres belong to the City, and 6.27 acres belong to the School District (Peter Hobart School), for a total of 15.66 acres. There is a playground (1988), building (2005), kiosk (2006), hockey rink (2002), skate park (2001), basketball court, and a community garden with compost bins. There was a storage building on the site known as the Carney Warehouse (2500 Georgia Ave., built in 1957). It was acquired with a grant from HUD in 1971 for about $21,000. It was made into a warming house and used for storage until it was converted into a community center in 1976. On February 21, 1978 it was named the Dorothea Nelson Park Building. Nelson Park and Peter Hobart School. North Side Park: See Rotary North Side Park. In 1960 there was listed a Norwaldo Park, described as .13 acres received somehow from the State in August 1944. It was located on Lake Street between Webster and Xenwood. Not there anymore? Norwaldo was the name of the subdivision. It may have been part of the Ethel Baston property. Oak Hill Park: 3201 Rhode Island Ave. (34th Streets and Quebec). Land was first obtained from the State in December 1943. 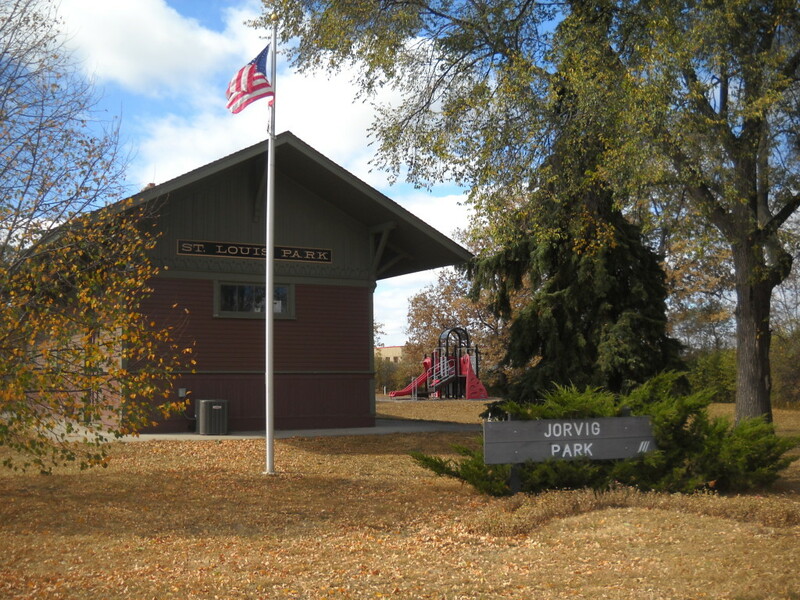 On July 15, 1948, the St. Louis Park Lions Club presented a shelter at the park to the Village. It was a huge affair, attended by over 1,000 people. Governor Luther Youngdahl was the principal speaker of the event, and Mayor O.B. Erickson accepted the shelter on behalf of the Village from John Billman, president of the Lions Club. On June 12, 1949, maintenance man Carl Youngblut – with the help of Boy Scouts – built a four sided outdoor fireplace. Bricks were donated by Cambridge Brick and the mortar was donated by the Women’s Club. In 1956 it encompassed 20.56 acres. In 1957 an unusual wading pool was built, financed with a $3,000 donation from Charles Friedheim. That structure was replaced in 1979; it had been closed by the Board of Health in 1977. More land was acquired in 1958 and 1959. In 1958 Charles Friedheim also donated $3,000 for bathrooms at the park. In 1960 the park had two shelters and a pool, at a cost of $50,000. Also in 1960, land from the Creosote Plant was obtained for parking. 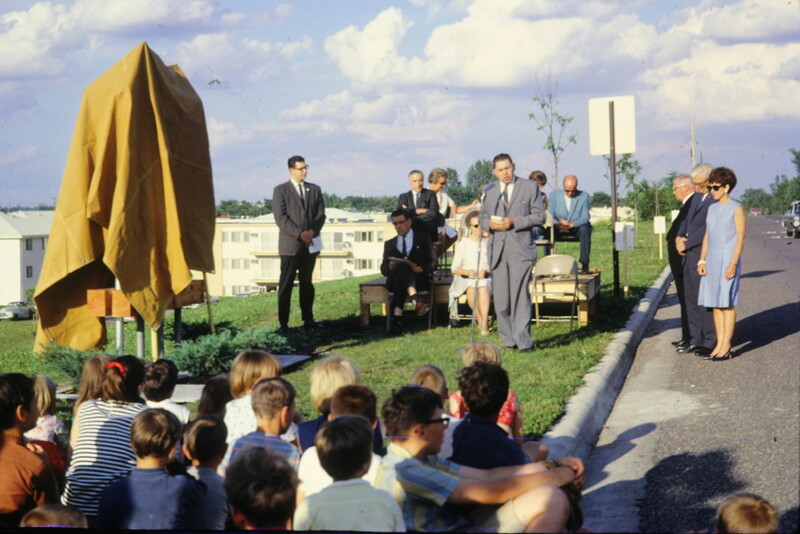 In 1963 a shelter, playground, and horseshoe pit were installed. Acquisition of land continued in 1960. Playground equipment was purchased in 1963. 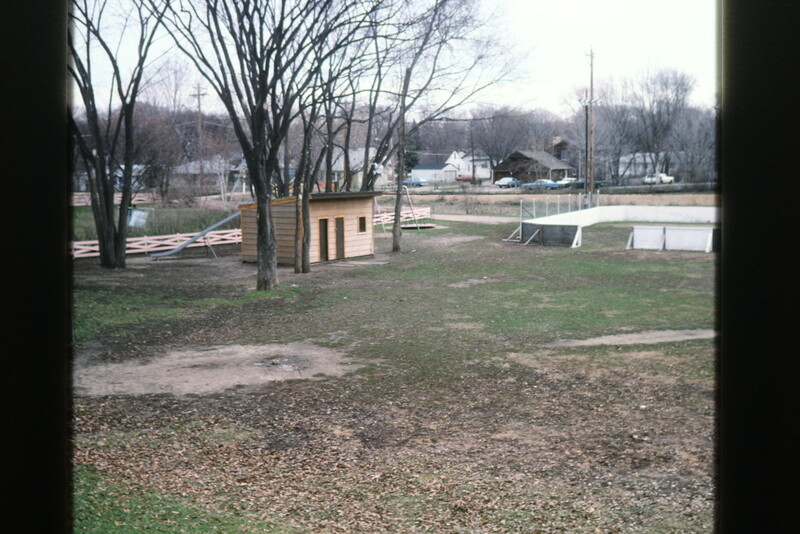 Wooden playground equipment was installed in 1974. In 1990 a wooden triple track bobsled track was built by Rod Stendel, an employee of the Parks Dept. Kids set the “Stendel Slide” on fire in 1994 and it was not rebuilt. 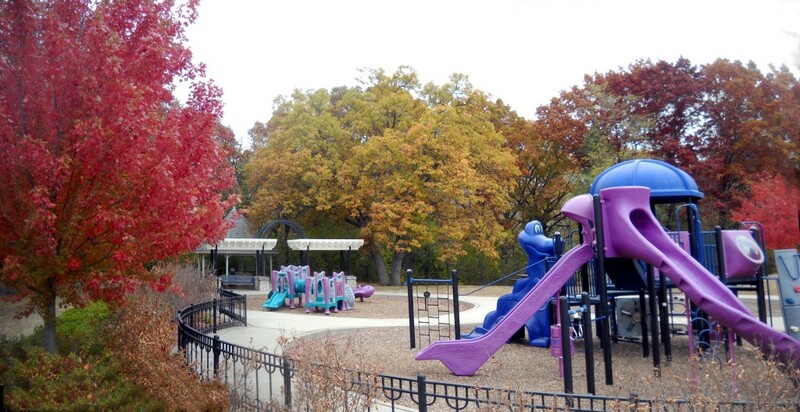 Currently the park has 13.83 acres, which accommodate several sun shelters, playground, a splash pad, lighted skating, softball, woods, wetlands, perennial garden, sliding hill, basketball court, and a carved wooden bear. In the 1990s an event called the Northern Lights Winter Wonderland was held. Oak Park Village: See Louisiana Oaks. Oregon Park: 3100 Oregon Ave. The land with a 4.5 acre pond was acquired in 1961. In 1966 the area was considered dangerous, with unprotected open water. In 1984 the neighborhood was against further development. Shoreline restoration went on in 2006. The 2.05 acre park includes a playground, horseshoes, and sliding hill. Otten Pond: 1440 Dakota (15th and Hampshire). It is named for the developer who owned the land adjacent to the pond. It is 3.53 acres of open space, of which .5 acres is owned by Park Place East office building. The pond itself is 1.7 acres. It was fenced in 1970 and reconstructed to 6 inches in the spring of 2002. Adjacent to Hampshire Park. 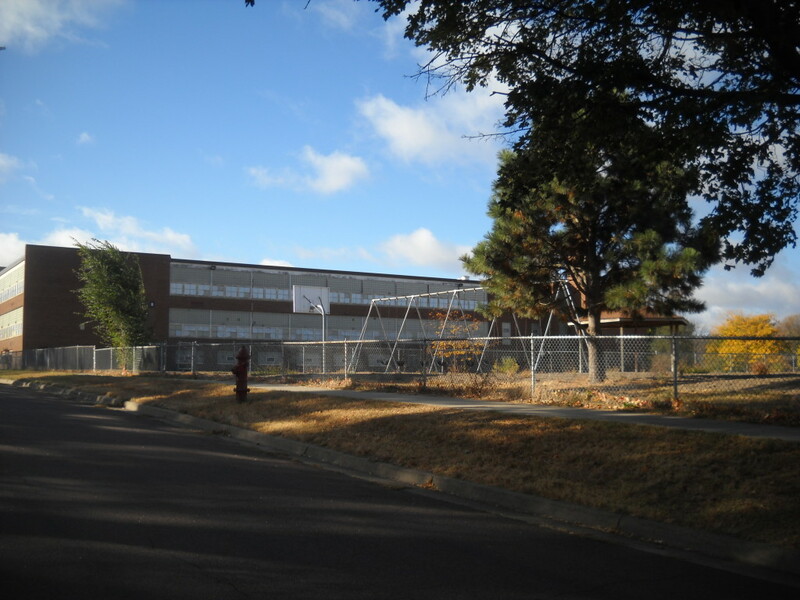 Parkview Park: 6801 W. 33rd Street at Idaho Ave., adjacent to the high school. Land was obtained from the State in 1942 and 1945. It was a working park in 1948. In July 1949, neighborhood dads (the Parkview Civic Association) built a 26′ x 40′ playground shelter, with financial help from the Women’s Club. More land was acquired in 1953. In 1957 the City refinished and moved the playground. The City owns .10 acres and the school district owns 2.20 acres. The park was totally redone in 1997. It features a sun shelter, horseshoe pit, lighted hockey, and a playground. The park is used for physical education classes and soccer for the High School and did for Central Jr. High as well. Pennsylvania Park: 1459 Pennsylvania Ave. In 1960 acquisition was in process. Work was done by the Nevada Ave. Block Club. New playground equipment was installed in 1986, and the park was redone in 2001. It now consists of 2.35 acres. It has a playground, sun shelter (1977), ballfield, basketball. It also has a wooded area and is a stormwater storage site. 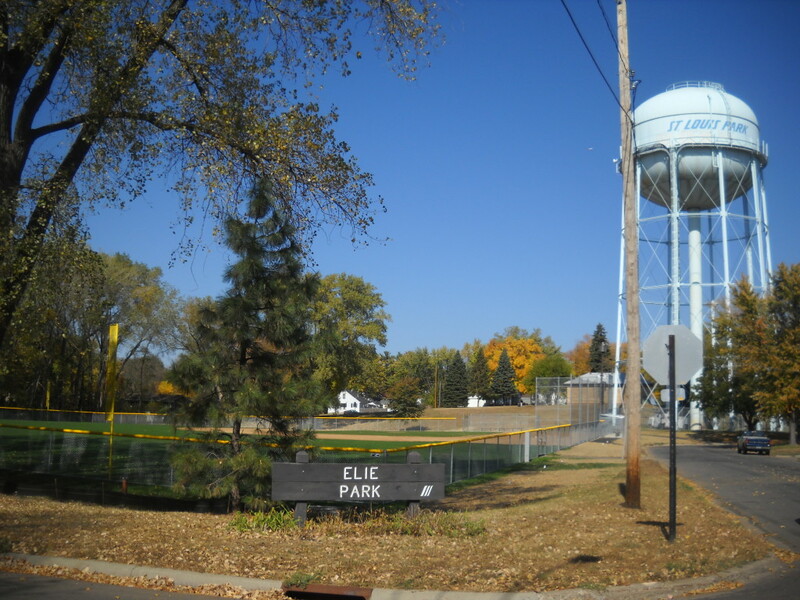 Dale Petit Field: see Elie Park. Quentin and 16th Street: This was excess right of way from Highway 100 that was made available after Highway 394 was finished in about 1990. In 1988, Mn/DOT had removed the 1600 block of Quentin Ave.
Rainbow Park: 2908 Sumter. This .72 acre park has a playground and was used by Timothy Lutheran School. In 1972 it was considered a vest pocket playground. New playground equipment was installed in 2002. The Rec Center at 3700 Monterey Drive opened in 1972. John Ross Field: See Texa-Tonka. Rotary North Side Park: 2200 Louisiana, north of Cedar Lake Road. In 1942 the Minnesota Highway Department bought this property to dig gravel pit #2638. 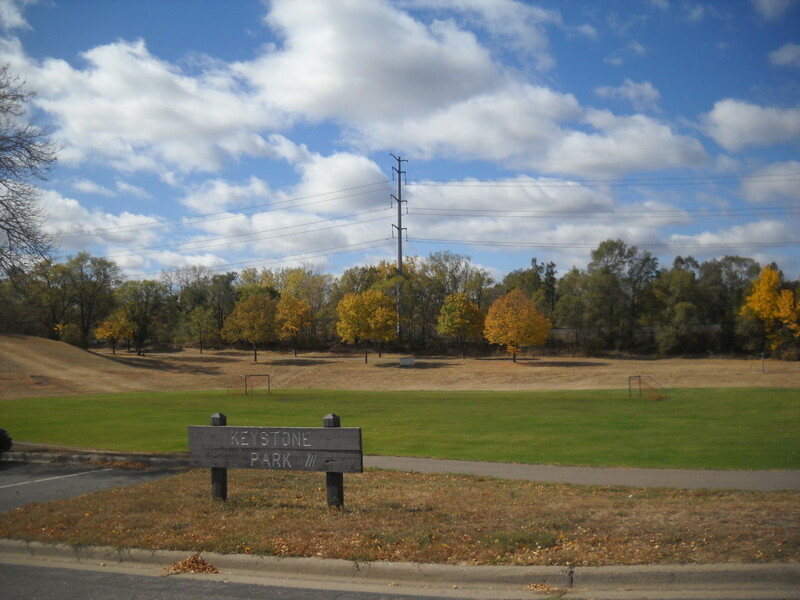 In 1953 the Village of St. Louis Park purchased the 8.8 acre parcel from the State. In 1978 tennis courts were built with funds from the Rotary Club and the Minn. Office of Local and Urban Affairs. Originally Northside Park, “Rotary” was added in 1990 to commemorate all of the work done by the organization to improve the park. In 1990 the Rotary Foundation agreed to make five annual payments of $3,000. Perhaps that year, the park obtained a Pirate Ship play structure. The park includes a warming house, hockey rink, baseball field, concessions stand, playground, tennis courts (originally 1971), and a playground. It is home to the Park National Little League team. In conjunction with the reconstruction of the fire station next door, the park was renovated in the summer of 2011. Dedication of the new park was held on May 12, 2012. The park includes baseball diamonds, tennis courts, additional trails, a lighted parking lot and a playground. 2011 Photo by Emory Anderson. 2015 Photo by Emory Anderson. Roxbury Park: 3110 Brunswick. Builder Adolph Fine donated 2.34 acres at 32nd, Brunswick, and the railroad tracks in 1951. In 1952 park development was waiting on drainage. A picnic shelter was removed in 2007 when a car ran into it. Current acreage is 1.94 acres. It was called Fine’s park on a list from 1960. It features a playground, basketball court, a stormwater pond, and a sun shelter. The name comes from the name of the addition. Senior High School: 6425 W. 33rd Street. Seven tennis courts. Shelard Park: 390 Ford Road, west of I-394. The 6.95 acres were part of an area that was annexed from Minnetonka in 1954 and dedicated in the plat by the developer (Shelard Development Co./Midwest Finace Inc.). A portion of it is privately owned. The park came to be in 1969 with the development of the Shelard area. A skating rink existed in 1974. 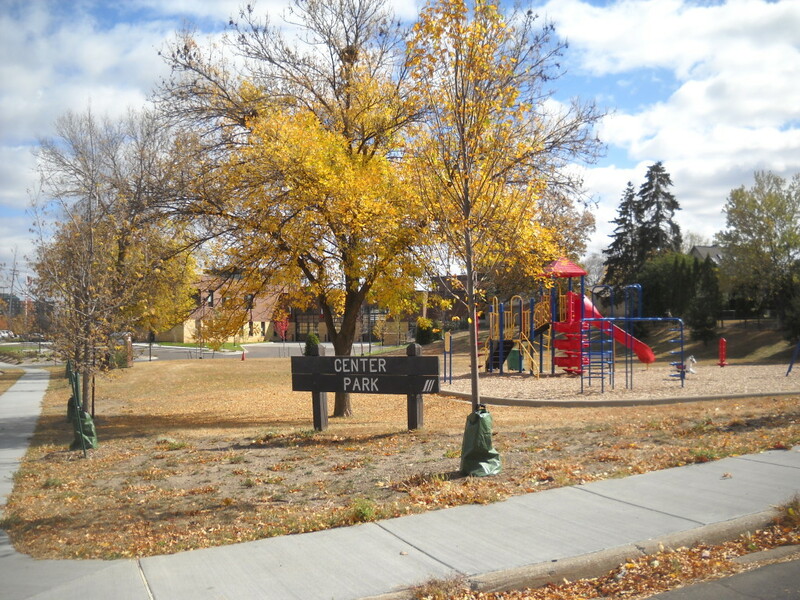 Improvements were made in 1985, and in 1990 residents requested playground equipment. It has a playground, a 2 acre pond and wildflowers. Shorty Dale Field: See Carpenter Park. 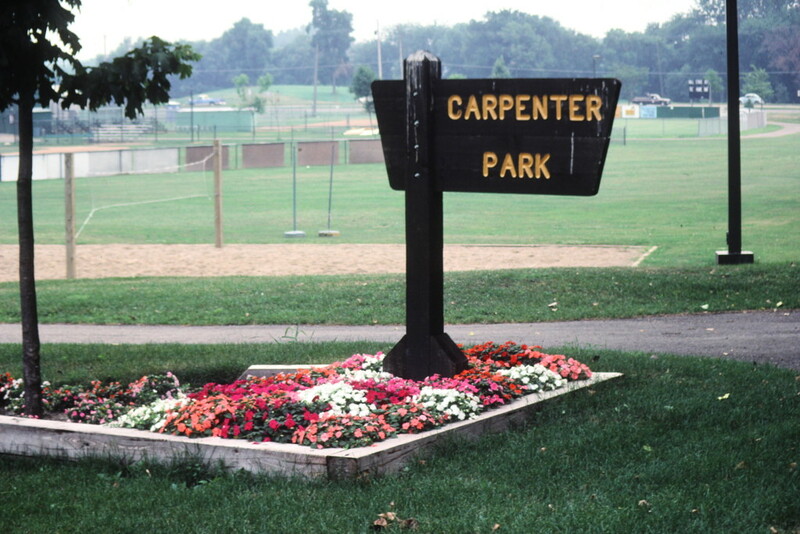 Skippy Field: See Carpenter Park. South Westwood Hills Park: see Willow. Sumter and 32 1/2 Street: 1.4 acre pond adjacent to Oak Hill Park. Sunset Park: 3328 Xylon 1.77 acres were donated by Mr. Carlson (currently 2.9 acres). Neighbors urged the purchase of additional property. It was first developed in 1955. Filling and grading work was done in 1989. It was improved in 2002. The current 2.9 acre park features a playground and is a stormwater storage area. Sunshine Park: 2900 Vernon. .72 acres were provided/bought from the State in December 1944. It was listed as one of 10 running playgrounds in 1948. In 1952 neighbors paid for playground equipment through a special assessment. In 1952 it also needed to be filled and drained. By June 1954 they were up in arms because considerable work had not been done. One notation says that it [re-]opened that month. Improvements were made in 1974. At one point it was suggested that the park be named after Cliff Dahl, as he had been an extremely active proponent of the park. Currently it is a .71 acre park with a playground, basketball court, and flower garden. Sunset Ridge Wetlands: Cedar Lake Road and Zarthan, next to the City’s “bone yard.” This is 10.19 acres of open space/wetland. Not listed as a city park. Susan Lindgren: See Yale Gardens. Texa-Tonka Park/Lake Victoria/John Ross Field: 2750 Virginia Ave. 2.5  acres were donated by builder Adoph Fine in 1955. Local housewives worked hard to raise money for equipment. Very active was the West End Community Improvement Association. Kids just called this “the pond,” and found it a great source of bullheads and snapping turtles. Playground equipment (whirls, slides, swings, etc.) was installed in 1963. Victoria Lake was part of the Gleason property in 1973. The park is now listed as 3.19 acres (excluding the 7-acre lake and surrounding area). There is a playground, two picnic areas on Lake Victoria, a kiosk owned by Three Rivers Trail Authority, and a soccer field. There is also a community garden. Towles Park: see Minnehaha Wetlands. Twin Lakes Park: 4750 W. 26th Street at Natchez, behind Benilde-St. Margarets. Although the park at 26th and Monterey was listed as a functioning park in 1948, other info says that citizens petitioned the Village Council for the park in 1949 and that it had not yet been acquired. The plan was for the Village to buy the balance of Thorpe Bros. Cedar Lake Heights addition not already owned by the Village, in addition to further land to the north. There was a well in 1956. It was not included in the 1958 bond issue. In 1959 landscape architect Robert Corwine was called in to weigh in on the water level debate. By 1960 acquisition was complete (partly purchased from a neighbor for $100), though neighbors came to the City Council asking that the lake be improved. In 1961 the park was under water. In 1968 there was a 14 acre lake with 8 acres of usable land. In 1976 there was a merry-go-round and swings, but no shelter, bathrooms, or basketball court. 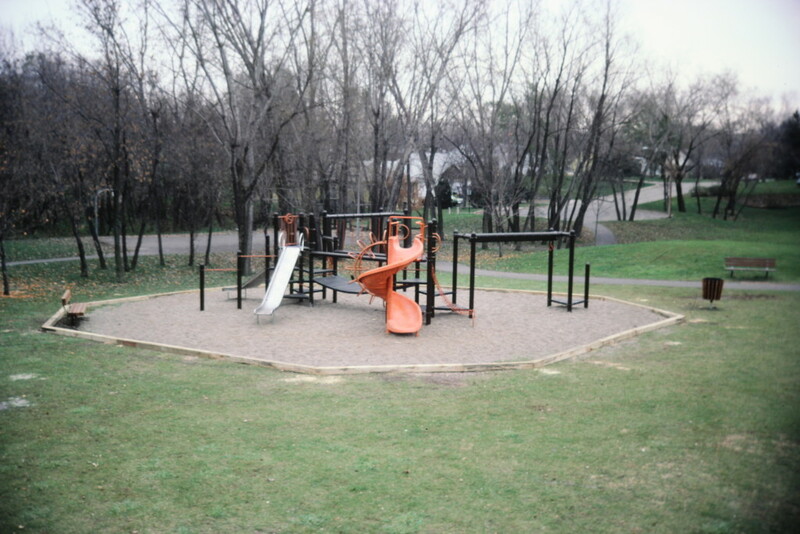 A playground was added in 1986. A flower garden was extant in 1991. Dirt was removed in 1997 for use at Louisiana Courts. This created an 8500 cubic yard pond. The ballfield was elevated in 1995. Shoreline restoration was done in 1996. In 1996 there were complaints that it was unsightly. A sun shelter was built in 1998. The park is now 26.74 acres, and includes a playground, sun shelter, ballfield, and basketball court. The Twin Lakes themselves constitute 12.4 acres. Deer and fox can be seen. Utah Pond: 18th Street and Utah Ave in the Westwood Hills neighborhood. This is 2.17 acres of open space. A pump inherited from the former golf course still works to keep lake levels consistent. Walker Field: 3500 Pennsylvania. 2.28 acres were donated in 1953; they were not in use as of 1956. It is now 3.7 acres, and includes a soccer field. A Walker Park was described in a 1960 list as being .65 acres at Walker and 37th – which doesn’t really compute. Webster Park: 3301 Webster Ave. This park was operating in 1948. In 1952 someone gave an anonymous gift of $3,000 to construct a wading pool at the park. The 1.49 acres belong to MN/Dot and are leased for $1 a year. A playground was built in 2002. Westdale Park/Westdale Park Detention Pond: 9200 W. 14th Street at Flag. This park is a part of the 97-acre Westwood Park tract. 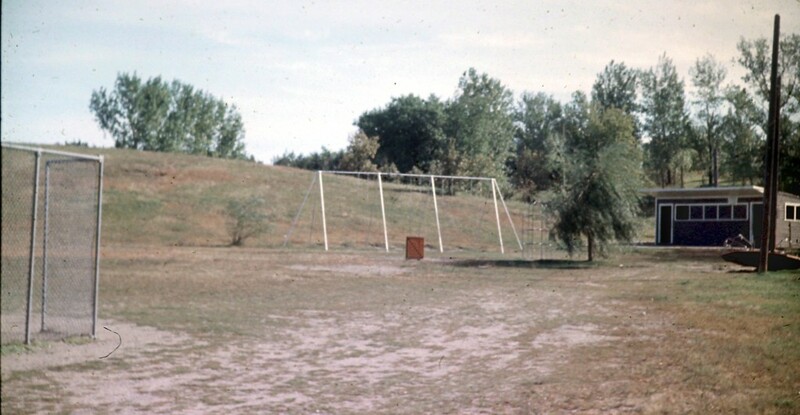 The tract was graded in 1963 and playground equipment was installed in 1964, but the park had water problems that made it unuseable. There were no improvements as of 1968. Work was done in 1973. Part of it is owned by General Mills in Golden Valley, and in 1975 permission was granted to put in a skating rink. It operated part-time in 1977. A boardwalk and playground equipment were installed in 1995. A playground and basketball court were abandoned in 2006 to make it open space with two stormwater ponds. It is considered part of the Westwood Nature Center. Westdale Pond is 2.2 acres. Westwood Park: See Willow or Georgia. Westwood Hills Nature Center is located at 8300 Franklin Ave.
Willow Park/South Westwood Hills Park: 2500 Rhode Island, south of Cedar Lake Road. The 2.86 [3.33] acres were dedicated in the plat. In 1952 the ground had been cleared but not rolled or leveled. In 1958, $276,810.25 was spent on this site. By 1960 it was partially developed. Playground equipment was installed in 1962/63. It was filled, graded, and seeded in 1969. In 1973 the neighborhood requested improvements, including something called a Pepsi Wheel. It is now 2.62 acres, and features a playground, basketball court, ballfield, and two flower beds. Wolfe Park: 3700 Monterey Drive at Beltline. This was originally called Westmoreland Park – in fact, the entire area was the Westmoreland plat. The site had been a gravel pit owned by Friedheim at 38th and Raleigh. The pit was abandoned, but a crusher plant for trucked-in gravel replaced it. Westmoreland Park was at 36th and Raleigh, where the Rec Center is now. Some land for the park was purchased by the Village in December 1942, and some was obtained by the State in November 1947. In 1956 the park had 4.3 acres, and it was a working park in 1957. The City bought up the rest of the plat, parcel by parcel. In 1959 there were dumping problems, and part of the site was made into Acme Field, of the Babe Ruth League. Some of the soil may have been contaminated. The Fire Department burned down structures on 36th Street in 1970; other houses were moved. Streets of Westmoreland Park plat were vacated in 1971. A shelter was erected in 1973. On May 27, 1974, the VFW dedicated a flag pole at the site. In 2000 the park was revamped and reopened on September 16. 2000 Photo by Emory Anderson. The park now encompasses 32.25 acres, and includes an enclosed pavilion (1998), a playground, two picnic shelters, the Veterans’ Memorial Amphitheater (2002), sand volleyball court, 1.6 miles of walking path, observation pier, cross-country ski trails, and basketball court. The pavilion was designed by the same architects who designed the Lake Harriet bandshell. Wolfe Lake/Johnson Lake: In February 1959 the City Council ordered a study on the feasibility, desirability, and useability of developing Johnson Lake as a swimming pool. Consultant Robert G. Corwine issued a report that cited water table problems and said it was too cold, recommending a concrete pool that ended up as the Rec Center. The lake was found to have B-Coli. The 8-acre Johnson Lake (Westmoreland Park, Block 11) was acquired by eminent domain in 1960. On August 31, 1964, Johnson Lake was renamed Wolfe Lake, after Mayor Ken Wolfe, who did so much to develop the lake and park. In the 1960s, children from various neighborhood parks were bused to Johnson Lake, which was chock full of minnows, for swimming lessons; there had been a bathhouse there. 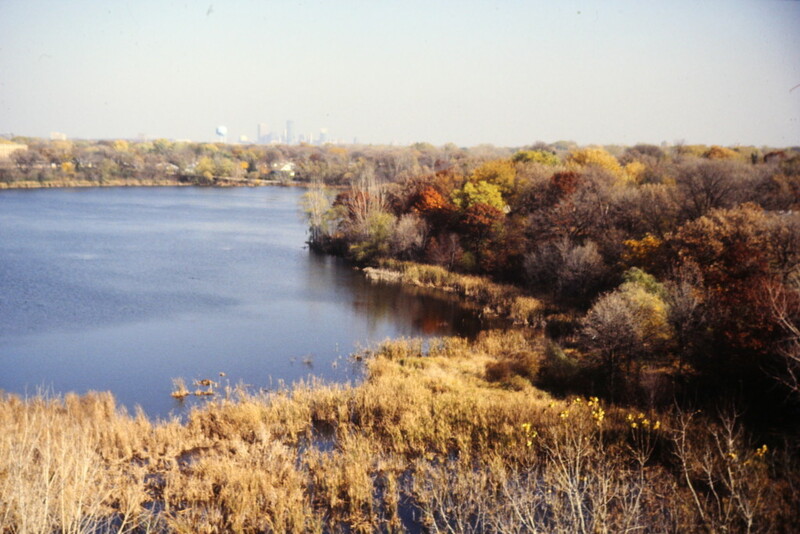 In 1967 the lake received fill from the excavation for the Park Nicollet building, filling in 14 acres. More fill was received from building the Excelsior Blvd./Highway 100 overpass, filling in an additional five acres. The lake now is 230 ft. across, almost round, encompassing 2.3 acres. It is stocked with fish by the DNR. Click here to see a History Minute on the lake, complete with pictures, produced by the City’s Community TV department. 2004 Photo by Emory Anderson. Yale Gardens/Susan Lindgren: 41st Street between Quentin and Natchez Avenues. 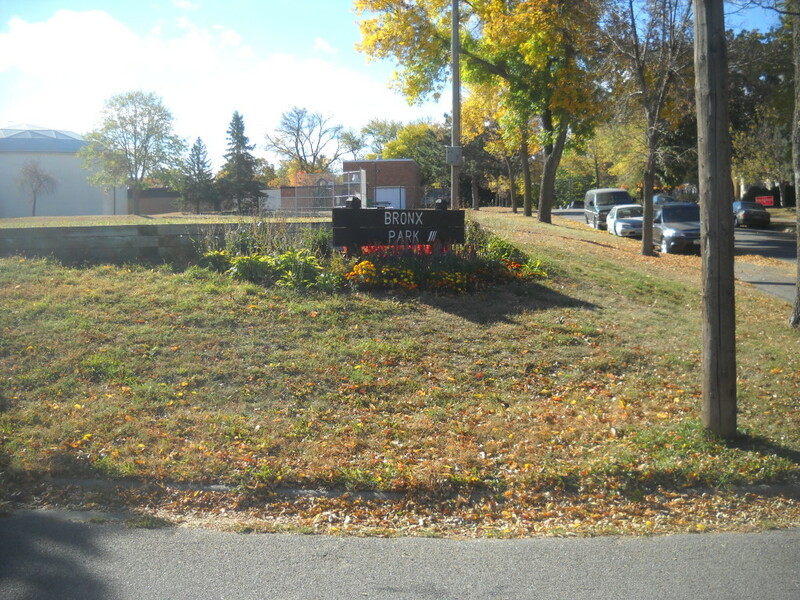 It is now the site of Susan Lindgren Elementary School. By 1960 it had been acquired by the City, but development plans had not been drawn up. Playground equipment was installed in 1990, replacing one that was over 20 years old. The effort was partially funded by neighbors, businesses, and students who had a “Pennies for the Playground” campaign. Reserve Block 40 Park: Drew Avenue South and West 24th Street Size: 1.67 acres. This park has always been referred to by its designation on plat maps in a neighborhood known as McNair Park. The park has never been officially named. The triangular block of land west of Cedar Lake was part of the land designated for acquisition on April 6, 1908, that included parts of the west shore of Cedar Lake and expanded Glenwood (Wirth) Park to include Brownie Lake. The land was almost immediately forgotten as it did not feature in park board plans for the development of either Cedar Lake or Brownie Lake. In a 1909 map showing the proposed development of Cedar Lake Parkway, the land was not indicated as park property. In later park inventories, the acquisition date was incorrectly listed as 1909. One the few suggestions for the development of the park is shown on a 1921 map prepared by park superintendent Theodore Wirth of possible developments in the vicinity of Cedar Lake. On that plan Wirth recommended two tennis courts for the park. Other than that reference, the park is not mentioned in park documents until 1953. The park board’s 1953 annual report noted that the low land had been in the possession of the park board for many years. 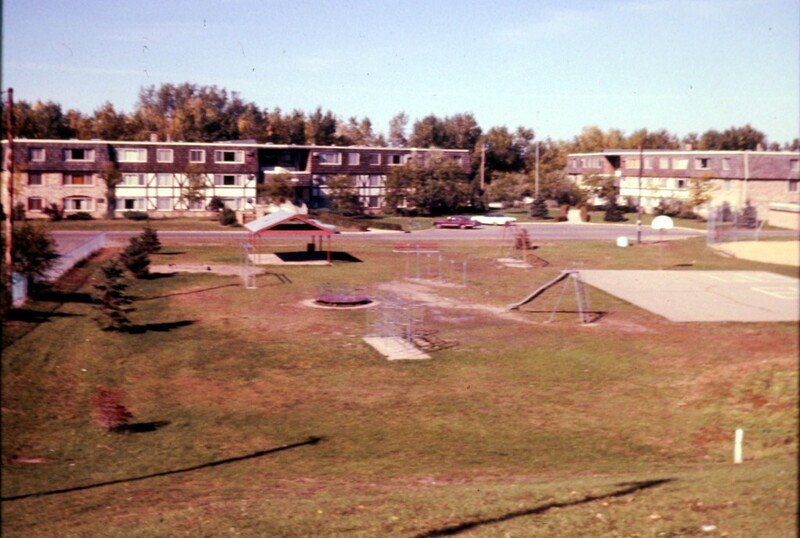 The park is mentioned in the 1953 report because in that year, with the development of the Basswood Addition to the south of the park, the area’s new residents had petitioned to have the block improved as a park. In response to those petitions, filling and rough grading of the park were done in 1953 and curbs were installed on two sides of the park. The western edge of the park was actually in St. Louis Park, and St Louis Park had not yet brought the street there up to grade, so curbing that side of the park was delayed. Fill for the park was obtained from the Prudential Building site to the west of Brownie Lake. The land for the Prudential Building, which had once been a part of Wirth Park, had been sold to Prudential in 1952. A condition of the sale of that land was that the park board would construct an access road to the property between Brownie Lake and Highway 12. The construction of that road provided the opportunity and the material to fill the low land of Reserve Block 40. The cost of improvements was assessed to property in the neighborhood. The first playground equipment for the small park was authorized by the board in 1957 and installed in 1958. The planning process for the most recent improvements to the park was begun in 2003 and the playground was replaced in 2004. 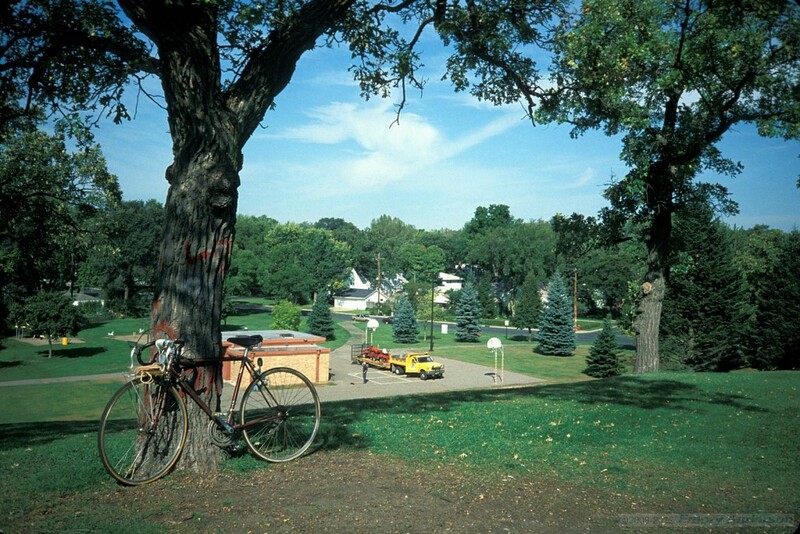 Source for Reserve Block 40 Park: “Parks, Lakes, Trails and So Much More: An Overview of the Histories of Minneapolis Park and Recreation Board Properties,” © Minneapolis Park and Recreation Board, 2008. Compiled and written by David C. Smith.